Early on a dark October morning two years ago commoner James Young’s phone lit up with an incoming call. A glance at the screen revealed the number of an Agister, whose job it is to oversee New Forest livestock. ‘It was a gut wrenching moment,’ said James. James’ beloved 21-year-old New Forest pony Brock Brocade had been hit by a vehicle the evening before and left to suffer overnight with two broken legs. ‘She was found early on the Friday morning by the side of the road. Both her back legs were broken and we had to have her put out of her agony,’ he said. Two years on, you can see the pain and upset remains. 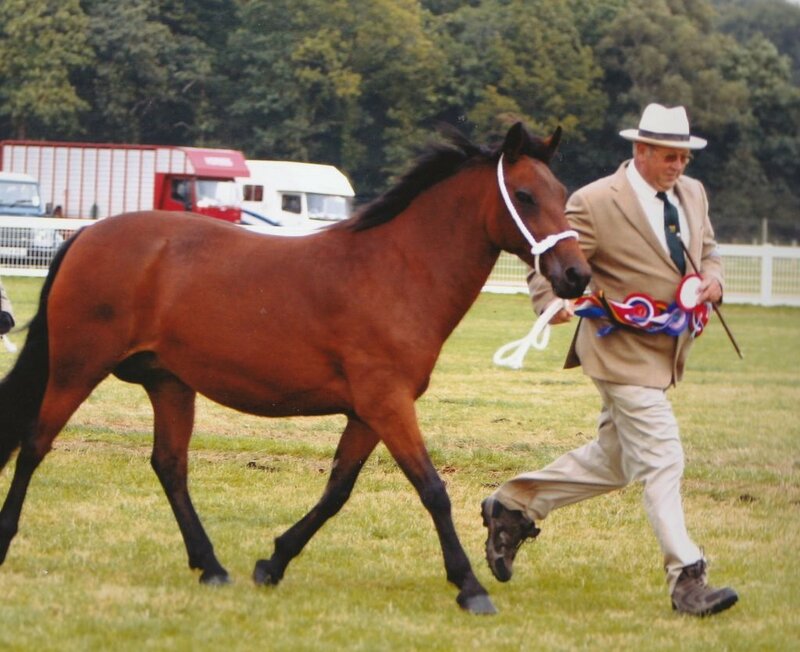 Brock Brocade was a much-loved pony from a long line of pure bred New Forest ponies. He said: ‘I could see immediately when she was born that she was a really nice pony. She is descended from the original ponies our family bred in the 19th century. Our herd is believed to be the oldest one still running out in the Forest. But this was to be no happy retirement. That fateful October morning came after just two happy summers running free in the Forest. ‘I realise that accidents do happen but for someone to hit an animal and leave it to suffer for many hours is unacceptable. A simple phone call would have saved her many hours of pain,’ said James. Last year there were 56 animal road deaths in the New Forest. Each animal is owned by a commoner and each incident causes pain and upset, just as the death of Brock Brocade did for James. Road deaths are most likely in winter, especially after the clocks go back and the evenings become darker, and they are mainly caused by local drivers. That is why a new campaign has been launched to raise awareness of the risks. Near-life-size silhouettes of Forest animals displaying the number of deaths will tour local towns and villages this winter, taking the message to where commuters live. James is backing the campaign (far right above), and said; ‘I think the use of the silhouettes with the numbers is effective. It’s good to see organisations coming together to promote the issue. When the clocks change it is traditionally the time when the risk of accidents is higher, but we also need to keep reminding people all through the winter. You can help the campaign by sharing posts on social media, displaying an ‘I go slow for ponies’ car sticker or offering to host the silhouettes for a fortnight by emailing rangers@newforestnpa.gov.uk.